Honeybees create honey in their hive through the topped-out combs, and they keep beebread — their food — in the other combs. Honeybees — employed to pollinate crops during the blooming season — encounter danger due to lingering and wandering pesticides, according to a new Cornell University study that analyzed the bee’s own food. Researchers used 120 pristine honeybee colonies that were placed near 30 apple orchards around New York state. 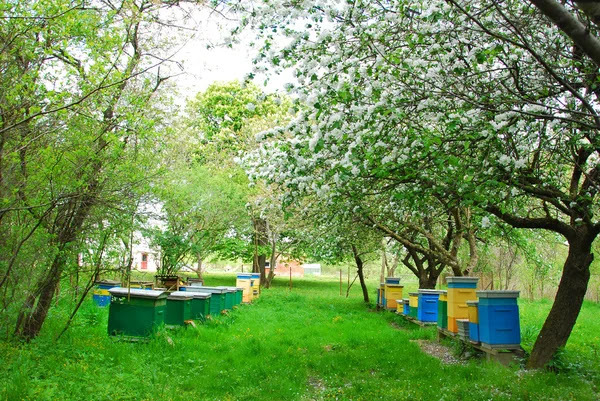 After allowing the bees to forage for several days during the apple flowering period, the scientists examined each hive’s “beebread” — the bees’ food stores made from gathered pollen — to search for traces of pesticides. Materials provided by Cornell University. Original written by Melissa Osgood.